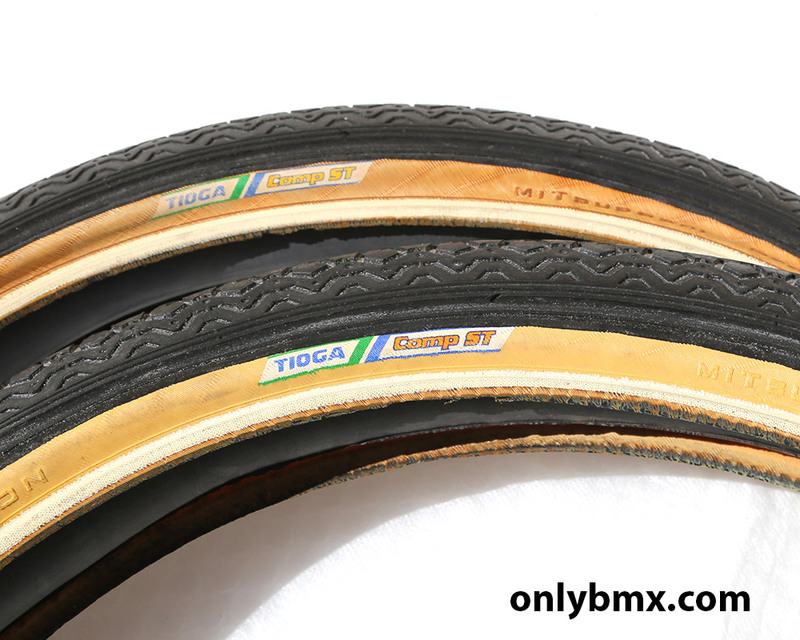 Pair of Tioga Comp ST freestyle BMX tyres. 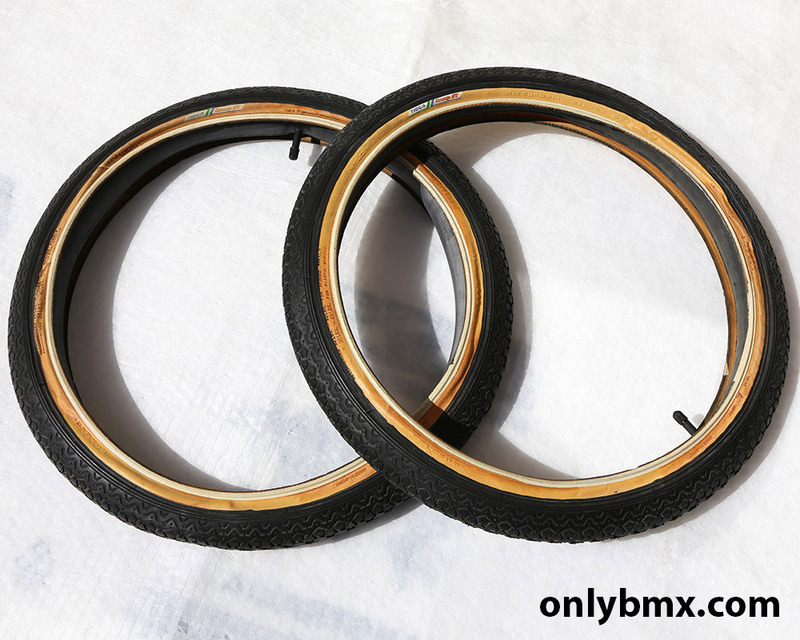 These are black with tan skin walls and overall are in good condition. 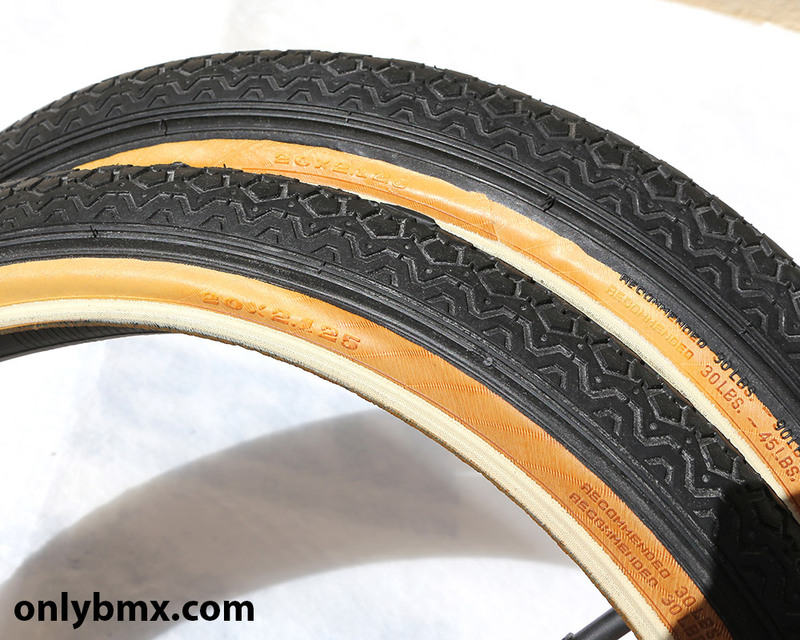 Sides are showing a minor amount of discolouration in some areas, however, there are a lot worse ones around… Check the last photo to see just how little there is on them. 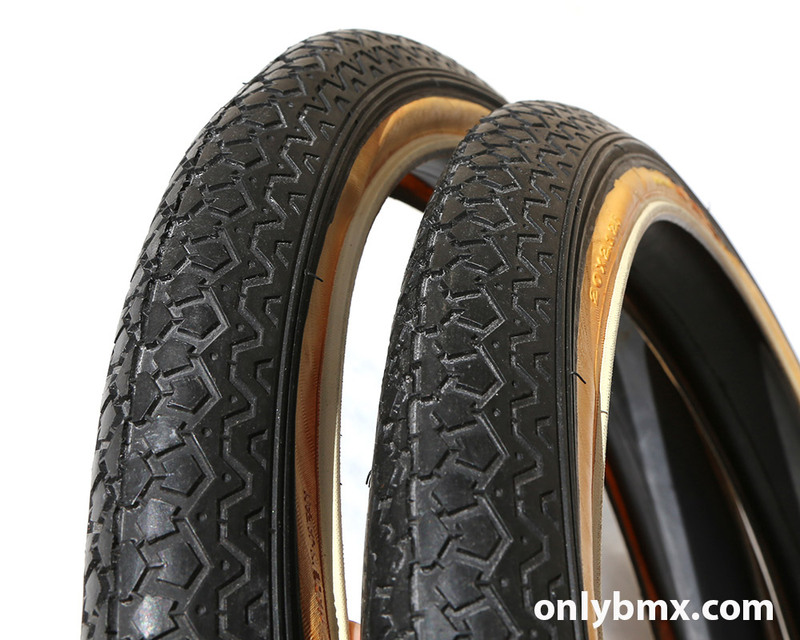 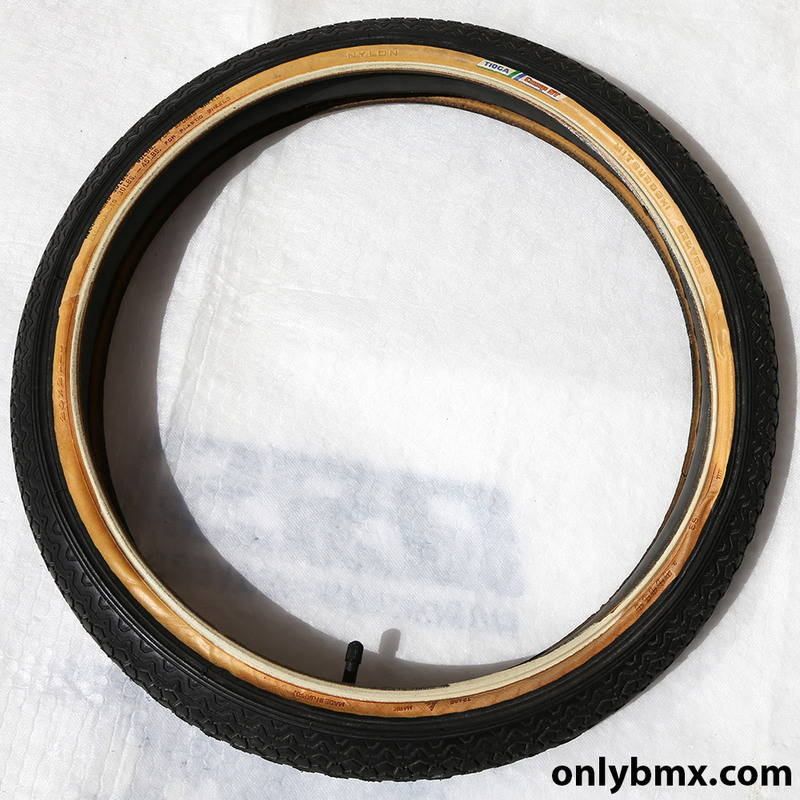 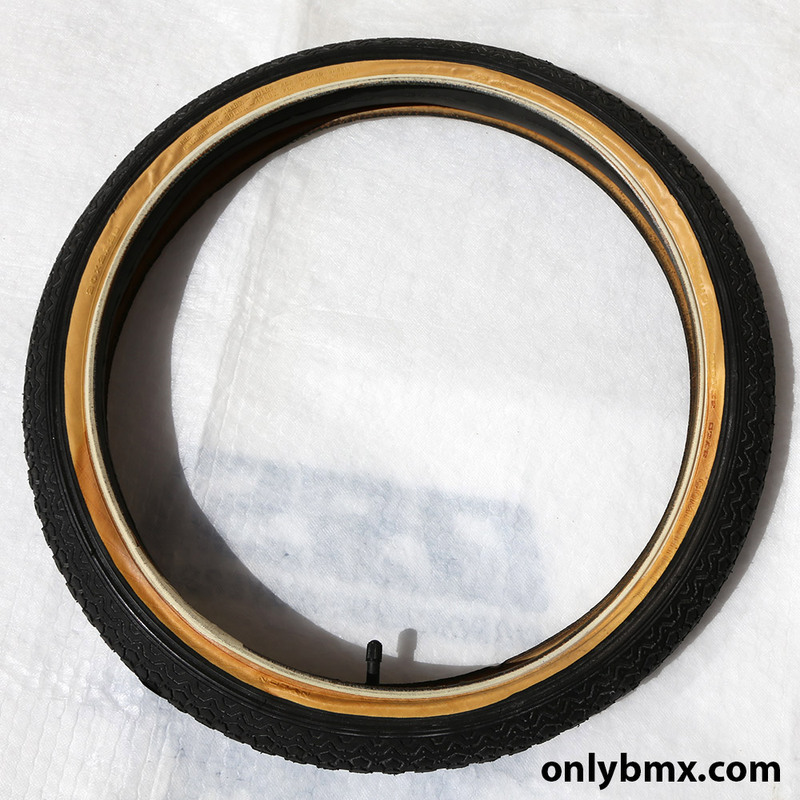 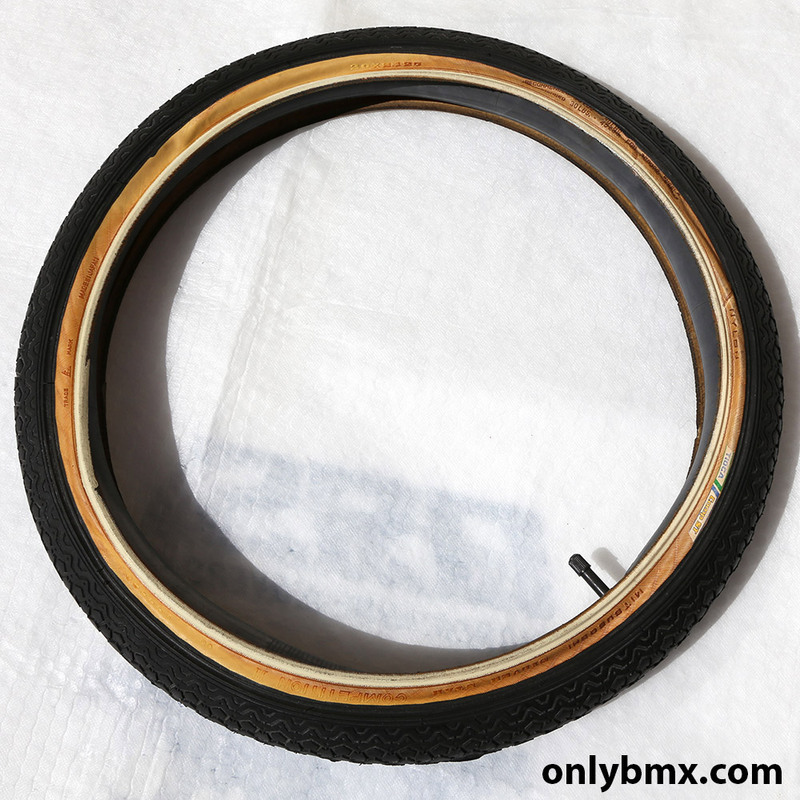 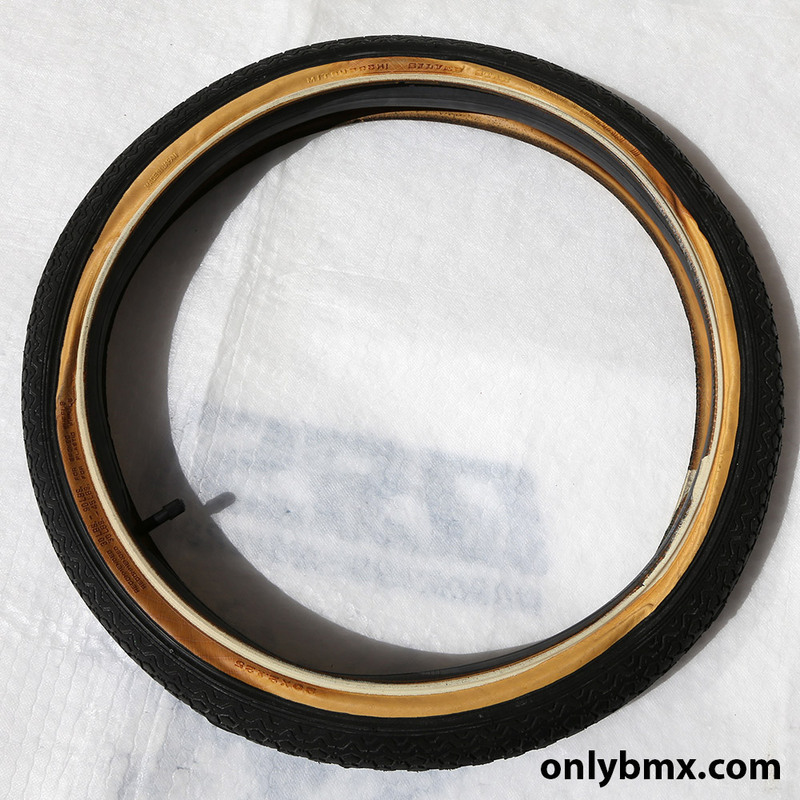 These are both 20 x 2.125 BMX tyres and not the more frequently found skinnier 1.75 size.